Buying tires for your vehicle is not a one-size-fits-all decision. Unfortunately, there is no universal tire that works perfectly with every car, weather condition, and application. In order to understand how to buy tires for the best result, you need to have a strong understanding of the types of tires that apply to certain applications, as well as the technical reasoning why some are more fitting than others. Tires are perhaps the most intricate and extensive area of the automobile industry. There are thousands and thousands of tire lines and models available, yet only one that is truly perfect for your unique requirements. Before you begin conducting research and purchasing tires for your vehicle, you need to understand the basic tire labeling. Measured in millimeters from sidewall to sidewall. This is the first three-digit number listed after the class of tire label. This is the ratio of the height of the cross section compared to the width, or the percentage. This two-digit number comes after the width label. 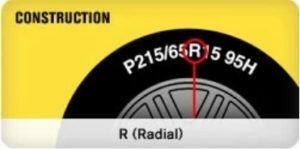 The construction of the tires will either be labeled with an R for Radial or a B for Bias. This label comes after the aspect ratio. This is the measurement from one side of the tire to the other. This is the crucial reading that determines whether or not a tire will fit your wheel. It is listed after the construction label. Indicates the maximum load a tire can support when inflated properly. This is listed on the tire after the diameter. This label indicates the top speed the tire can handle. These are typically matched with the speed capability of the vehicle. 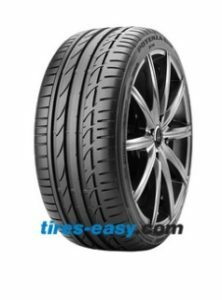 By the time you are ready to open up your wallet and purchase a new set of tires, you should know exactly which model you need, why it is the ideal solution for your situation, and of course, how much you are willing to spend. 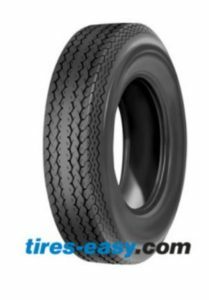 Passenger tires, meant for sedans, CUVs, and minivans, are typically designed to provide a smooth and quiet ride with reliable traction and long lasting tread wear. These tires are not designed to support heavy loads and should not be used on large vans or heavy trucks. Most of the passenger models have all-season capability and feature high mileage ratings for both highway driving and touring. Additionally, you can expect that the majority of passenger, all-season tires will come with the M+S marking, signifying all-season capability. In a nutshell, this symbol means that the tire has all-season capability. From a general standpoint, there are three major types of tires to consider for passenger vehicles depending on your needs. Touring tires are designed for superior comfort and traction year round. These models are more responsive, making it easier to handle turns and stop & go traffic. Touring tires are usually built with asymmetrical tread patterns for a quiet ride. If the majority of the driving you do is in-town, touring tires would be a smart choice. The Cooper CS5 Grand Touring line offers a wide range of models for passenger vehicles across the board. These tires are designed with high silica content on the tread rubber to increase traction on wet pavement and extend the tire life. This Cooper line is built with Stabiledge Technology, which ensures that tread blocks remain flat on the road and lock during cornering for extra responsive handling. As the name implies, highway tires are primarily meant for paved roads. They are designed with long mileage in mind and built for smooth, quiet rides with excellent handling. Many of the highway models you will see are designed with independent tread blocks and sipes for good on-road performance. Similar to touring tires, most of these models will come with an M+S symbol. The Cooper Evolution line is fantastic for highway driving and is equipped with 3D Micro-Gauge siping, which is meant to extend the depth of the tread to ensure even wear. These tires are also built with a five-rib tread pattern and wide lateral shoulder grooves to prevent hydroplaning. If you drive a luxury car that is capable of reaching higher speeds, buying tires built for performance and superior handling can do a lot to maximize the use of the vehicle. These tires are designed with low-profile sidewalls, large tread blocks, and reinforced nylon caps over the steel belts to offer extra durability at higher speeds. For the most part, these tires are designed for pavement and do not do as well on treacherous roads. The Bridgestone Potenza S001 line is currently one of the most popular high-performance tires on the market. Engineered with an asymmetric tread pattern for both wet and dry conditions. The internal structure of these tires is made with a lightweight belt package and steel belts supported by spiral-shaped aramid fibers and nylon cords to guarantee high-speed capability. Passenger tires are not meant to be used in aggressive, off-road conditions. They are designed for comfort and long-term use. If your vehicle is used for more modest driving, passenger tires are the way to go. Truck and SUV tires are engineered to be a bit more versatile than your average passenger tire. They are built to carry heavier loads, manage more intense hauling needs, and perform towing duties when needed. Thanks to these capabilities, truck and SUV tires are more rugged and durable on tough road conditions. When you are buying truck tires, the general rule of thumb is to always prepare for the worst. 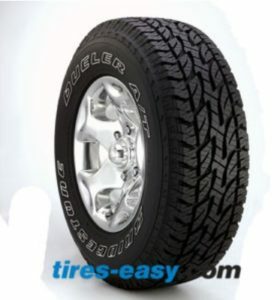 There are two major factors to keep in mind when choosing truck/SUV tires. Think about the heaviest loads your truck or SUV will potentially carry. As you shop around, match the tires’ load ratings to the maximum load you anticipate carrying. You DO NOT want to base your decision on the average load potential. It’s always best to overestimate here. The driving conditions you typically face is a crucial factor in how to buy truck tires. Take into account the area you live in. If you drive in an area that experiences tough wintery conditions, or you frequently drive on muddy, gravel, or snow covered roads, you are wise to look into tires with more aggressive tread and rubber compounds. These provide better traction and are resistant to gouging. Unlike estimating your load carrying potential, you need to determine the possible driving conditions with a bit more thought. For instance, don’t buy off-road tires unless you are 100% sure you will be primarily using the vehicle in off-road conditions. On pavement, the aggressive tread blocks of off-road tires will create a very stiff, uncomfortable ride with poor handling. For vehicles that see a good deal of on-road and off-road action, the Bridgestone Dueler A/T line is an excellent middle ground that gives you the best of both worlds. These tires offer a tread design for a comfortable, quiet ride on paved roads, as well as all-terrain performance capability when you are driving off the beaten path. 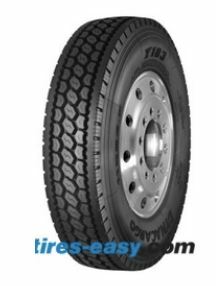 There is a great deal of variation in truck and SUV tires. When it comes to buying the perfect model, you need to have a precise understanding of what you use the vehicle for and the conditions you will be driving in. Shopping around for the best trailer tire is not as easy as it might initially seem. Perhaps the biggest mistake buyers make in this regard is thinking a regular passenger tire will work fine on a trailer. Remember, passenger tires are meant to carry people; trailer tires are specially designed to carry heavy duty loads and maintain stability. 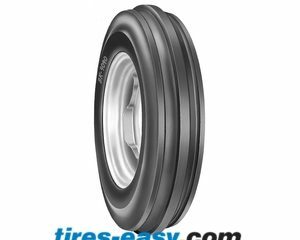 They are built with stiffer sidewalls and are typically narrower to match standard trailer wheels. Moreover, towing a heavy trailer generates a lot of heat; the shallow grooves are meant to keep the tires cool and improve fuel economy. There are generally two builds to consider when buying trailer tires. 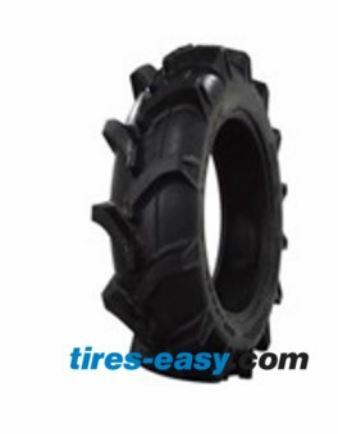 Radial tires have plies that run perpendicularly across the belts. They are meant to last longer and are less prone to developing flat spots when parked for extended periods of time. Radial tires are ideal for highway driving and perform well at high speeds with better heat resistance. The Power King Towmax STR line is a premium radial trailer tire featuring a five rib circumferential tread pattern with full depth sipes for superior grip on wet roads. These tires are designed to run cooler and boast longer tread wear, excellent shock absorption, and better fuel economy. Bias tires are built to withstand heavier loads than that of radial tires. The plies run at 30 to 45-degree angles and the tires have steep sidewalls for enhanced carrying capability. The downside to bias tires is they do not last nearly as long as radial tires and are ideal for moderate to low usage. The Deestone D901 line is perfect for medium to large trailers and is built to carry heavy loads on the highway. These tires are designed for superior stability, low rolling resistance, and longer wear. 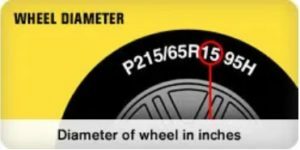 Size – Obviously, the size of the tire needs to be compatible with the wheel of your trailer. If you can, it’s always a smart move to double check with the manufacturer as to what tire size works best with your particular needs. 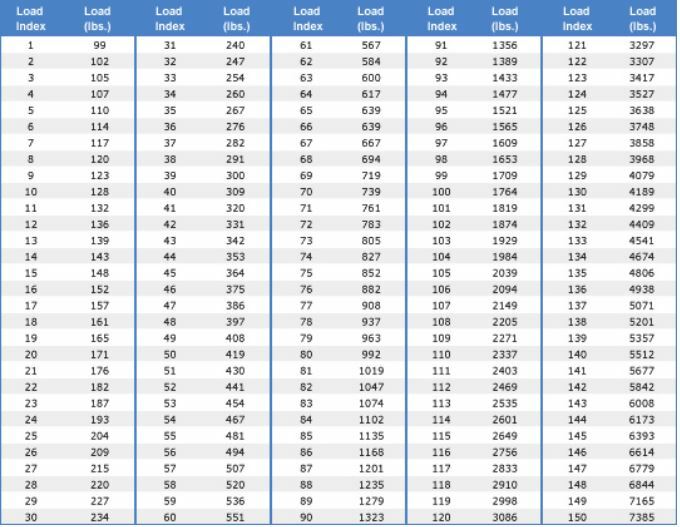 Load Rating – This is perhaps the most crucial piece of the puzzle. The weight of the load can cause a great deal of damage to a tire if it is not adequately rated. Be sure you have properly determined the gross weight of the trailer and divided it by the number of tires needed – this will tell you the load rating your application requires. Moreover, similar to truck tires, ALWAYS estimate the maximum load potential when buying trailer tires. Ply Rating – The ply rating indicates the maximum weight and minimum pressure required to carry the load. Longevity – Driving with deteriorated tires is VERY unsafe. When buying trailer tires, always make sure you buy ones that last as long as possible, and keep track of how far you have driven with them. Cooling – Overheated trailer tires can quickly result in an explosion. That said, the tires you choose for your trailer need to dissipate heat. ATV/UTV owners have all kinds of options when it comes to buying tires. These types of tires are meant to handle some of the most treacherous off-road terrains and withstand huge amounts of punishment. If you buy a decent quality product, you can expect the tires to last four to five years from the manufacturer date. As you could imagine, ATV/UTV tires are not a one-size-fits all application. 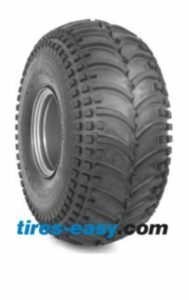 Generally speaking, when you are looking to buy ATV tires, you need a solution that gives you a nimble driving experience with some speed. UTV tires, on the other hand, need to put you in a good position to handle specialized work or haul equipment. Finding the perfect depends greatly on the types of terrain and tasks you need to accomplish. Of all the ATV/UTV tires out there, mud tires have the thickest lugs meant to provide traction in the harshest conditions – all-purpose tires simply cannot provide the same response. The large knobs on these tires act as shovels to evacuate mud and ensure excellent handling. If you frequently ride on ultra-rugged trails, mud tires are a very smart choice. 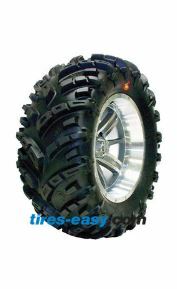 The Deestone D930 line offers a variety of great multi-use ATV mud tires. The tractor-like lugs are designed for optimal water and mud expulsion. These tires can also serve as replacement tires for Argo amphibious vehicles. Riding on desert or sandy terrains is an experience that requires a very particular type of tire. These tires need to have the capability to dig into the sand deep enough to provide appropriate traction and avoid spinning out. If your vehicle rides on beaches or in desert conditions, a nice set of sand tires is crucial. 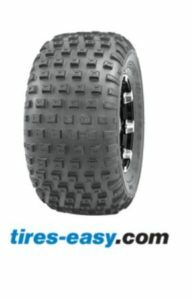 The Nanco N243/D930 tire is fantastic on sand and loose mud. 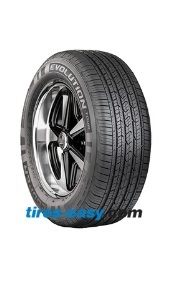 These tires are built with 4-ply construction to ensure extra durability and resist punctures. The center paddle lug is meant to maximize traction on looser terrain, and the knobby shoulder block adds a biting edge for extra maneuverability. For the most part, nearly any ATV/UTV tire will work on hardened snow. However, if you are driving during heavy snowfall or on untracked trails, having a specialized snow tire for your vehicle can have a lot of benefits. The downside is that these types of tires come at a premium. Moreover, they need to be changed out in the springtime. A good set of ATV snow tires gives you excellent traction and helps you stay afloat on the surface without digging too far into the snow. For this purpose, wider tires with tread paddles or independent blocks that run radially are ideal. The Greenball Spartacus offers a robust tread pattern of independent tread blocks with a myriad of biting edges. The design of this tire is meant to provide more balanced traction and minimal trade-off between deep powdered snow and packed. All-terrain ATV/UTV tires are meant to handle moderate off-road conditions and function well on pavement. These are generally characterized by large tread patterns and reinforced sidewalls to reduce damage. All-terrain tires are ideal for work vehicles that see a decent mix of on and off-road driving. 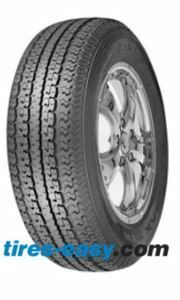 The WDT P319 is an incredibly versatile tire with square dimpled lugs positioned radially across the tread. For an economical tire you can depend on, this one will certainly get the job done! Lawn and garden tires cover a vast number of applications and vehicles. These tires are typically meant for tractors, mowers, wheel barrows, golf carts, and even hand trucks. As what should come as no surprise, the tires you buy will depend on the intended use. All-terrain lawn and garden tires can be categorized by their knobbiness, and typically have large tread blocks and deep grooves. These tires are designed to handle looser surfaces like dirt, sand, and mud. 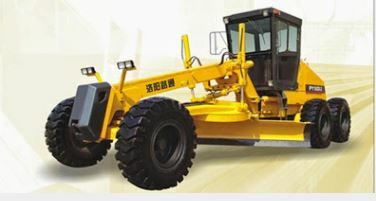 Most models in this category feature large void areas to effectively expel debris and add traction. The WDT P328 tire is an excellent choice for ATVs and mowers. If you need a tire that provides towing capabilities or needs to tackle jobs on dirt paths and pavement, this option will serve you well. The primary purpose of turf tires is to provide excellent traction on grass while minimizing damage to the terrain. 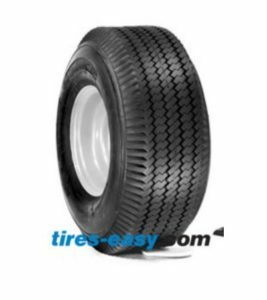 These tires typically feature circumferential rows of chevron shaped tread blocks. The WDT P512A is a very durable option meant to provide extra grip on slippery lawns and delicate terrain. This versatile tire is great for smaller equipment like mowers, hand carts, and small tractor trailers. 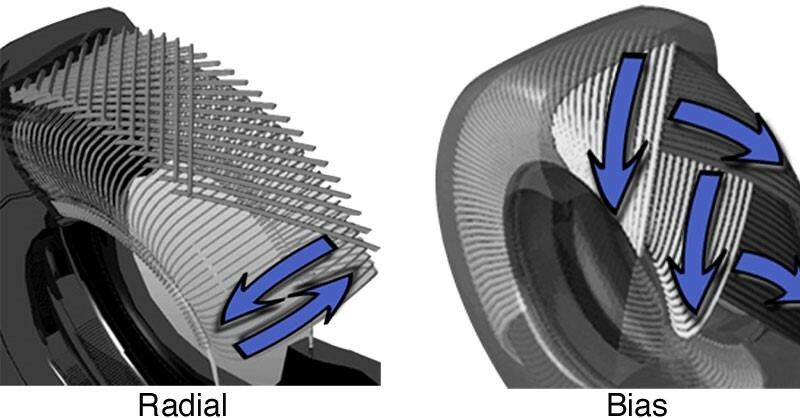 Ribbed tires are characterized by straight ribs and circumferential grooves that are either scalloped or flat. 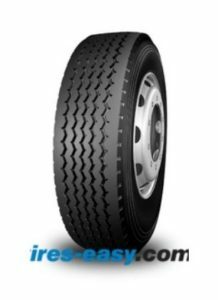 The primary purpose of these tires is to provide lateral stability and prevent sliding. While these tires don’t have the same traction as all-terrain or turf tires, they are built to roll easily and last a while. The Power Kind Sawtooth Rib is a versatile tire that is perfect for more modest lawn and garden equipment like golf carts, hand trucks, and other material handling applications. Buying tires for commercial trucks is no easy task. Failing to do the proper research and buying the wrong model or one that is not designed for the precise needs of the fleet can have detrimental consequences. When you are shopping around, there are several crucial factors to keep in mind. Most importantly, the load capacity your commercial truck(s) faces on a daily basis needs to be the top criteria for how you choose tires. For starters, you need to understand the load capacity needed for your tires. Take the gross weight of the truck, then divide it by the total number of tires needed. Different applications for commercial trucks will require certain tires. If you are driving across the country with heavy loads or bulky equipment, the tires will need to withstand a great deal of strain and perform well in all kinds of weather conditions. In this case, you are wise to look for a tire with maximum fuel efficiency that is primarily designed for on-road driving. The Dynacargo brand is known for long lasting, fuel efficient tires. The Dynacargo Y103 tire is specifically designed with a closed shoulder and rubber compounds to ensure longer mileage. 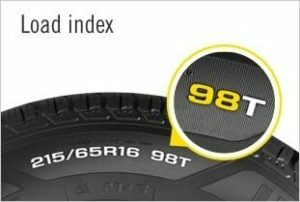 Moreover, the center of the tread is equipped with interlocking blocks for optimal grip in an array of weather conditions. On the other hand, if the trucks are primarily meant for in-town applications (such as dump trucks, waste management trucks, tankers, etc. 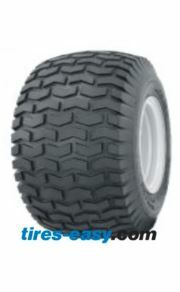 ), you need to look into tires that are meant for both on-road, off-road, and highway applications. Wide-base tires are ideal for these purposes. Roadlux offers a wide range of tires designed for city and highway service. The R128 model is built with heavy duty rubber designed with six deep ribs and five circumferential grooves. 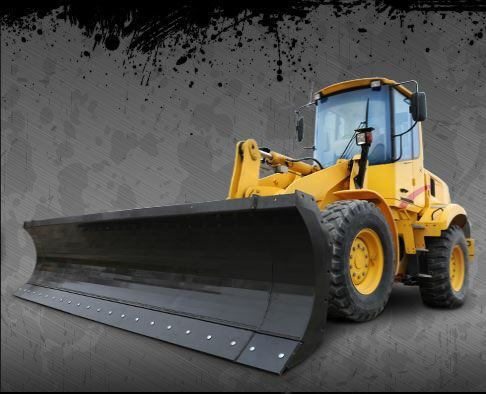 These components work to provide excellent wear resistance and grip suitable for garbage trucks, tankers, construction equipment, and more. For trucks that experience extreme weather conditions, gaining extra control with steer tires is a smart investment to avoid havoc. Many fleet owners elect to splurge on steer tires to protect their vehicle and the loads they carry. 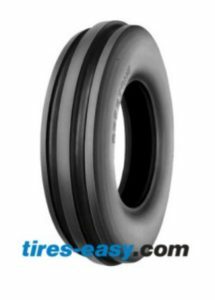 They are meant to be placed in the front axle positions and are designed to channel water away from under the tire surface and maintain rubber contact with the road. These tires can be utilized both for long haul and regional applications. 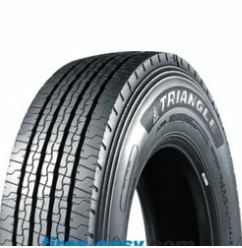 The Triangle TR685 is a premium multi-use steer tire perfect for commercial trucks and buses. The enhanced tread compounds enable better wear and longer life. The casing of this model adds a great deal of durability for extra performance. The outcome of any construction job is dependent on the tools being used. When you are in the market for new construction tires, there are several key factors that come into play. 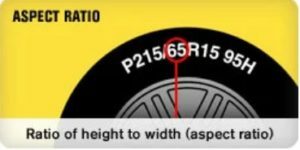 For starters, you need to understand the basic terminology for classifying construction tires and the vehicles they apply to. As you are gauging the type of work you need these tires to accomplish, you should have an idea of how often the equipment will be in use. If the tires will be used for shorter amounts of time or infrequently, you won’t likely run into significant wear or performance problems. In this case, the upfront costs might be a determining factor. For commercial jobs, in which the equipment sees heavy use day-in and day-out, you need a tire that is built to last a long time and handle a substantial amount of wear and tear. As what is a recurring theme in the way of buying tires, your choice needs to depend on the type of work the tire will need to do. In construction, you need to take into account the severity of the job sites you typically encounter. This is perhaps the most important criteria to consider when buying construction tires. For this purpose, you need to have a TMPH rating (Ton-Miles Per Hour). 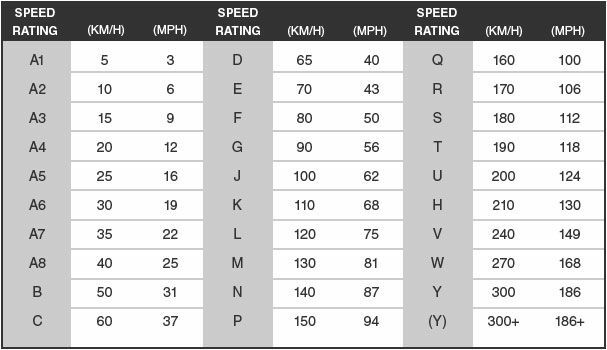 This rating is calculated by the load capacity x average speed. This rating is both the working capacity of a tire and the heat index. Additionally, you need to understand the restrictions of certain tires to ensure they are properly suited for your vehicle and application. A tire marked with “E” is meant to travel 2.5 miles one way at up to 30mph. Tires marked with “L” are intended for 250 feet at 5mph. Ones marked with “G” can take on unlimited distances at 25mph. You should also have an understanding of the terrain type you are working in. This will determine the tread type you need. 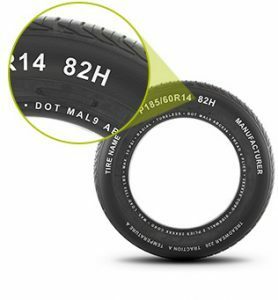 For more common applications, tires marked L2/G2 are recommended. These tires are meant to give you optimal traction on sand and looser ground conditions. L3/E3 tires are designed to handle more scrapes and impacts in rockier work conditions. L4 and L5 tires are the toughest – with L5 being at the top. These are meant for the most extreme applications and are designed with deep tread for a long tire life. Buying farm tires can get very complicated. 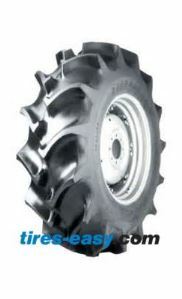 Tires for tractors and other farming applications do not come cheap and must be properly used to last. Your selection(s) needs to be made with the upmost precision. For starters, you need to consider the purpose of your tires. If you are operating heavy duty machinery, you need a tire that is able to withstand all kinds of punctures, tears, and gouges. These types of tires are very similar to construction tires. Ag tires are built with highly aggressive treads to handle the most extreme conditions thrown their way. 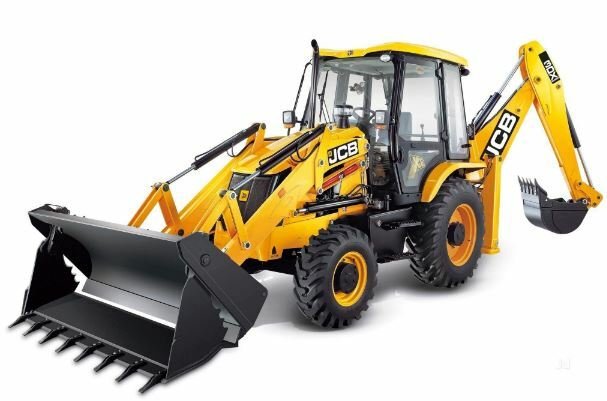 These are common for tractors, combines, sprayers, and skid steer loaders. Ag tires are incredibly durable and can cope with the most intense jobs on the farm. Just beware that they will tear your lawn to pieces if you drive on it. When you are buying farm tires, it’s very important to note that there are a plethora of options specifically made for rear and front tires. R-1 – Ag rear tires are typically preferred for more general dry land farming. These are also commonly referred to as lug tires and have a traction grabbing component normally angled at 45 degrees. You can also get more tread depth to handle jobs in wet or heavy clay terrains. These are referred to as R-1W tires. 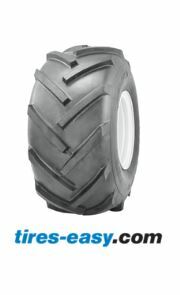 The Deestone D413 is a popular choice with increased tread depth. The angle of the bar lugs on this tire does a lot to improve traction with a self-cleaning design. The strong nylon casing on this tire makes it one of the most durable models on the market. 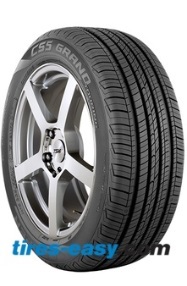 R-2 – These tires have a tread depth that is twice that of an R-1 tire. These tires are meant to handle farming needs in wet muck or mud. R-2 tires are typically used in rice paddies or sugar cane fields. The Firestone CHAMPION SPADE GRIP is a fantastic R-2 tire designed with bolstered tread bars for extra-long wear in wet conditions. The rubber compounds are designed to handle the thickest mud and muck and will resist weather cracking. R-3 – These tires are generally used for turf applications and are more suited for general, modest usage. They are excellent for getting lots of ground contact on slopes or in snowy conditions. 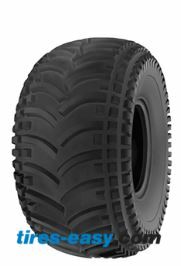 The Firestone All Nonskid Tractor II is a highly effective tractor tire featuring a large button tread for minimal soil and ground disturbance. The full depth tread and X-shaped buttons are built to provide forward, reverse, and lateral traction. R-4 – These tires are increasingly common these days for industrial applications. They offer a great deal of traction and typically come with robust lug designs – while having a minimal effect on turf. The BKT AS-504 model is designed for soil tillage and transport applications, as well as harvesting and loading. This tire features self-cleaning properties for optimal traction in wet and muddy conditions. Front tires come in similar styles as rear tires. However, ribbed options are generally the preferred design. F-1 – These are straight-ribbed tires meant to penetrate deep for excellent steering control. The BKT TF-9090 is a good option for 2 wheel drive tires due to its strong center ribs which promote strong steering control. Extra puncture resistance provides longer life and reliability when you need it most. F-2 – F-2 tires come with three ribs and offer fantastic steering control and minimal side-slip – thanks to the raised center rib. 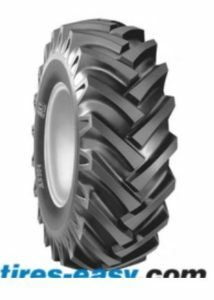 The Deestone D401 is a good, economical F-2 tire with a tread pattern that ensures your tractor remains straight in its path and provides excellent steering for a wide range of farm conditions. F-2M – With four ribs, these tires are designed for heavier loads on harder surfaces. They are meant to have precise load distribution with flotation qualities. Buying the perfect tires for your vehicle is a process. You need to understand every little detail about your driving needs, sizing requirements, the task at hand, budget, and the experience you want. Hopefully, this guide has given you a good idea of how to approach the research/buying process and directs you to the perfect solution. If you have any questions whatsoever about the tire you need, feel free to reach out to our knowledgeable staff for further assistance. We are always happy to help!